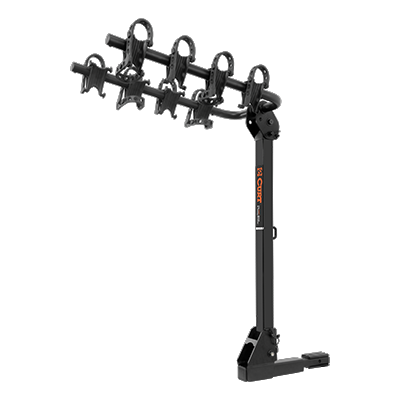 The CURT standard hitch bike rack is the perfect car bike rack. Models are available to hold 2 to 4 bikes and can be purchased with a towable bike rack hitch shank for simultaneously towing a trailer. All CURT standard bike racks come with a durable black powder coat finish.